I’m re-posting this from my 10th Anniversary tribute I did on my other blog. Because we must NEVER FORGET! 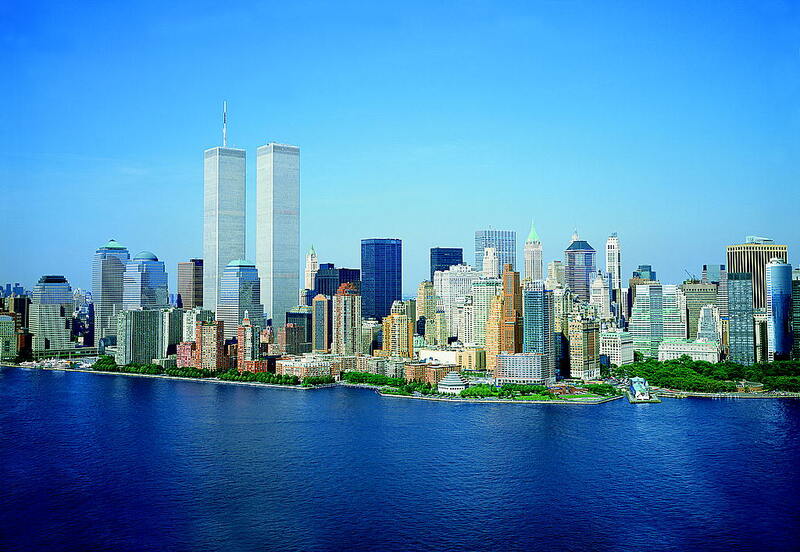 September 11, 2001 started out like any other day–for everyone. But that day ended in total devastation for many, heartbreak and disbelief for all. It was double for me because of the terrorist attacks and the fact that my father found out he had lung cancer. My father is now cancer free and still blesses my life. But, today, I would like to remember the fallen. Me, I was already at work. Back then, I was working on the Tactical Automation contract for III Corps, US Army at Ft. Hood, Texas. That day was going to be the start of our annual exercise with their sister troops in Korea. I had started my 12 hour shift at 6am and we were getting the servers all set up for live connections, making sure everything worked before the troops arrived at the Battle Simulation Center (BSC). We were going to play a game of war. Around 8:50am I received a call from a co-worker who was due to start his shift at nine. He wanted me to pull up a news website and verify what he just heard on the radio to see if it was a joke. He had told me that the radio station had just reported an air plane had crashed into the World Trade Center in NYC. He also said this radio station was known to joke around. So he wanted to be sure. Our television in the BSC had been off all morning. And at that time, the Network Operations Center (NOC) did not have a television hook up. Since our computers had already been connected to the Internet, I tried to pull up CNN.com. When the network timed out, I tried FoxNews.com to no avail as well. The commotion of the troops filtered in and out of the BSC for their training exercise usually calmed down by now on any other given day. That day, it built into a manic deluge. I went to the BSC break room where there were gathering soldiers around the only active TV and watched, over and over the unbelievable footage of a Boeing 767 crashes into the side of the World Trade Center. Maybe this was an accident. Maybe the pilot had a heart attack and something happened to the co-pilot. Or maybe the controls got stuck. How could anyone NOT see that big building in their path. My mind was trying to rationalize what it had just seen. 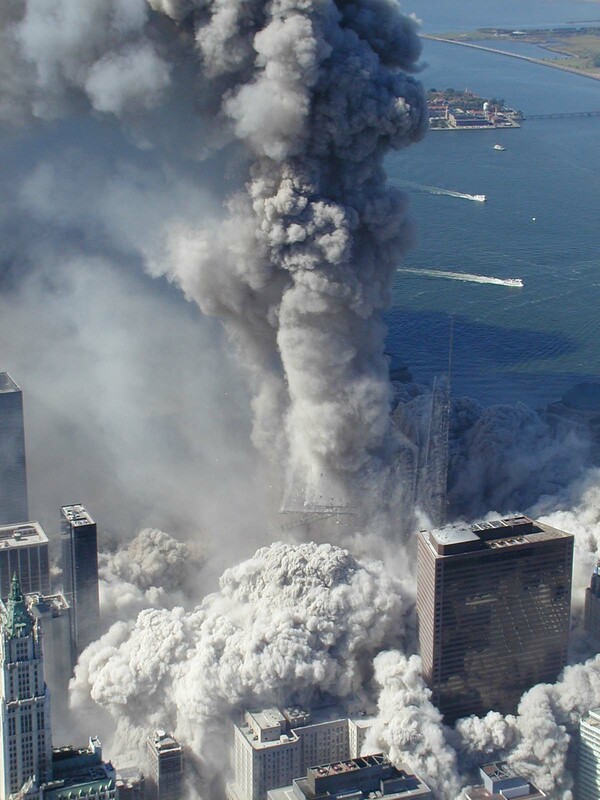 After watching only the split second I needed to comprehend what was going on, I rushed back to the NOC and said, “Turn on our TV, a plane just crashed into the World Trade Center.” A flurry of speculation went up between us all. As we watched and theorized, time ticked slowly by. At 9:01am we watched in disbelief as another plane rammed the second tower. It went from “possible accident”, to DEFINITE TERRORIST ATTACK. I rushed outside to call my husband (cell phones were not allowed inside the BSC). My husband was currently active duty Army and worked across base. The cell towers were slammed and no phone call was possible at that time. I kept trying and trying. Over and over I dialed his number. I knew what was next. He would be leaving. I wanted to call him. I wanted to hear his voice. Finally, I got through. “Two planes just flew into the Trade Center,” I said. “I know. I have my radio on. I just told my troops, ‘Pack up guys. We’re going to war! '” replied my husband. “I’ve got to go. The phone lines are getting jammed. I love you.” I told him. “I love you, too.” he said. And that was our first conversation after the attack. I went back in to the NOC and we all readied for the start of our exercise. Delayed though it was, we were still having it. 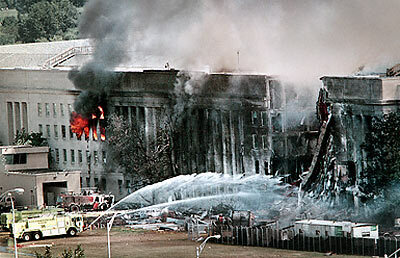 At 9:37am another plane crashed the Pentagon this time. I knew my brother-in-law had just been there and was unsure if he was leaving that day or the day before. We sat in disbelief, going through the motions of our routine of the exercise. And at 9:59am, 57 minutes after the first plane hit, the South Tower collapses. It was so surreal, almost like watching a movie. And moments later, a 4th plane was reported crashed in the fields of Pennsylvania, missing its target. This couldn’t be happening! No way! We all sat with our mouths hung to the floor. What broke the silence was the phone ringing and my boss telling me then need me down at the Sanctuary. “What is the Sanctuary?”, you ask. Any other time of the year you can hear ants eat. I hated working in the Sanctuary. It was boring and isolated. We had TV, but it was always on the news. And where I had to sit was nothing more than a converted broom closet that housed our classified servers. It was loud, and cold. And did I mention, lonely? I pack up my things and leave the BSC. When I get into the Sanctuary the noise was astounding. There were about fifty people all sitting at their stations, people walking in and out, people talking plans, people, people, people. It was a sight I’d never seen before in the Sanctuary. The wall of LCD monitors at the front of the room were sectioned off, 4 of which had the General’s presentation, the rest were either on new channels or showing some military computer program that I can’t talk about. 🙂 I went straight to work getting people their accounts, email and internet set up on the classified network so we could get information flowing between bases. New computers were introduced into our area and people were always having troubleshooting issues I had to resolve. It was a busy time. I was on my feet all day helping people and didn’t realize the passage of time. In between computer issues and tasks, all eyes were on the news. Talk centered around the stability of the North Tower. We were all hoping and praying she would stand tall. 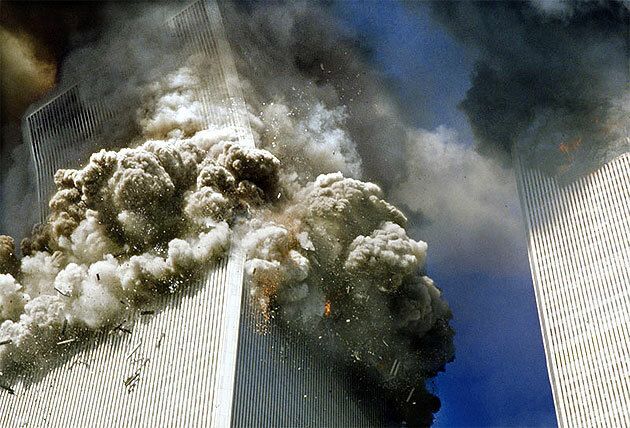 But at 10:28am the North Tower begins to collapse. NYC, America, and the world will never be the same. I continued to keep myself busy with all that was going on in the Sanctuary that day. Tears didn’t come until after my shift and I was safe at home in my husband’s arms. Unfortunately, many were not so lucky. 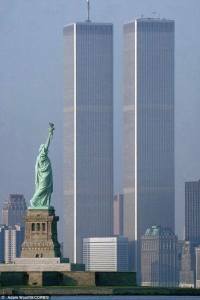 The worst terrorist attack on U.S. soil left 2752 people dead from the World Trade Center buildings, 189 from the four planes that were used (not including the hijackers), and 44 people at the Pentagon–totaling 2,985 families devastated. It is now the 10 year anniversary of this horrendous crime. I beg of you, NEVER FORGET! Emails and emails and more. Radio, television tuned in to news. United in terror and pride. Back to your methodical drone. Just another day of routine folly. 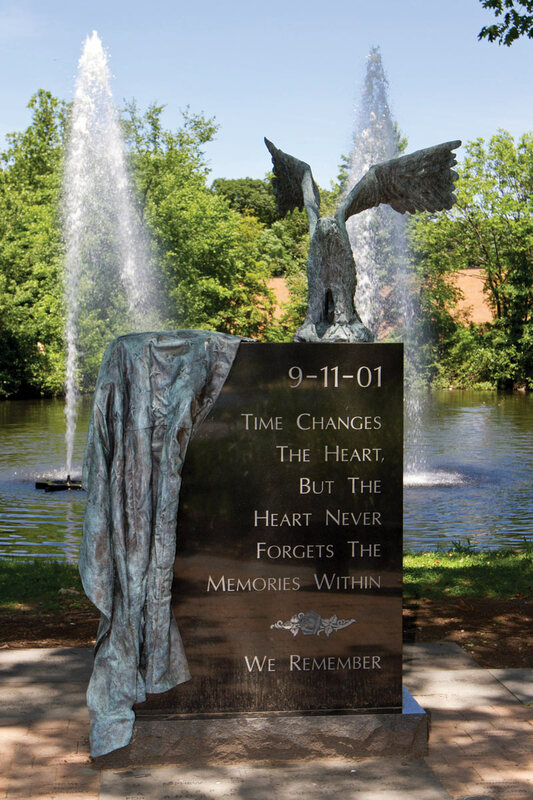 This entry was posted in Emotions and tagged 9/11, Army, emotions, fear, feelings, Flight 93, Military, Never Forget, not alone, Pentagon, support, Twin Towers, veteran, Vets, writing on September 11, 2014 by LadyJai.